Alejandro Cremades is a serial entrepreneur and the author of the “The Art of Startup Fundraising” with a foreword by ‘Shark Tank‘ star Barbara Corcoran, the book was named one of the best fundraising books of all time. Alejandro is also the host of the DealMakers Podcast where he interviews some of the most successful entrepreneurs. As a serial entrepreneur, Alejandro most recently cofounded Onevest, which became one of the largest online communities of entrepreneurs. At the time of its acquisition, the company had a network of over 450,000 entrepreneurs. Prior to Onevest, Alejandro was an attorney at King & Spalding, where he was involved in one of the largest investment arbitration cases in history with $113 billion at stake (Chevron vs. Ecuador). Alejandro guest lectures at NYU Stern School of Business and The Wharton Business School. Alejandro was in the Top 30 Under 30 lists of Vanity Fair, Entrepreneur Magazine, and GQ Magazine. 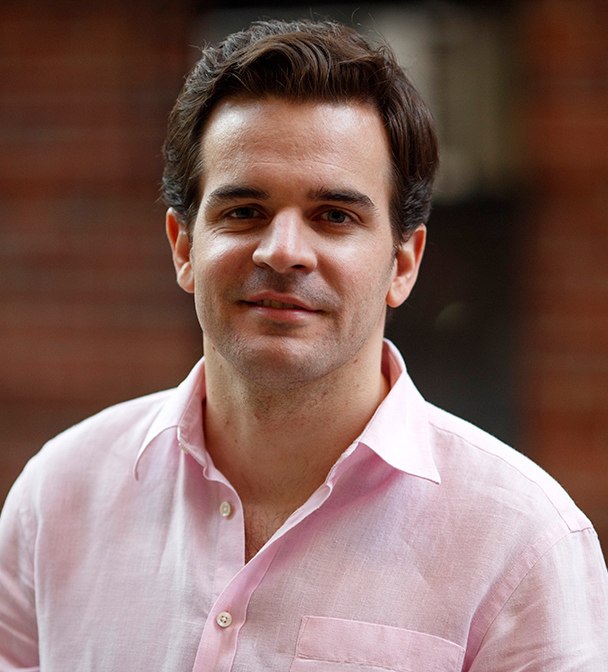 Moreover, TechCrunch recently featured Alejandro as one of the expats that is shaping New York’s tech. Since the early days Alejandro was involved with the JOBS Act to help figure out how investing in private companies online worked. As a result Alejandro was invited to the White House and the US House of Representatives to provide his stands on the new regulatory changes. Currently Alejandro is the founding partner at Panthera Advisors which is a premier investment banking and financial consulting firm. The firm specializes in M&A, Capital Fundraising, Company Valuations and Strategic Planning. In his spare time Alejandro writes a column for Forbes. For availability and speaker fees, please contact Alejandro Cremades’s speaking agent at Chartwell here, or call +1 972 385 1021 for U.S. inquiries or +44 207 293 0864 for international inquiries.